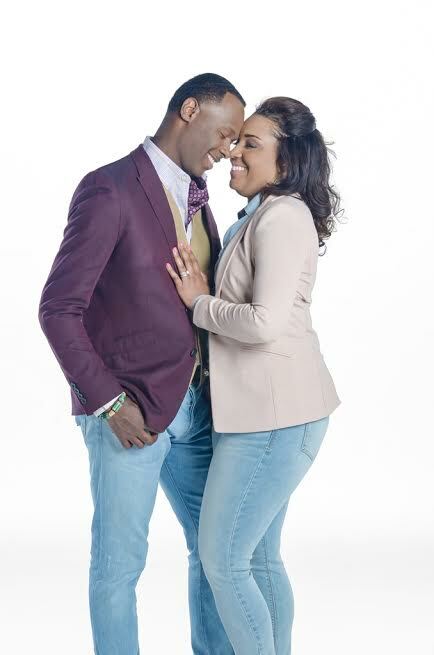 *Micah & Heidi Stampley ~ International recording artist and worship leader Micah Stampley’s partner in love, life, music and ministry, wife Heidi Stampley has written or co-written over 40 songs on her husband eight Stellar and Dove Award-nominated albums. It all started with Micah’s debut album, Songbook of Micah, and subsequent releases A Fresh Wind…The Second Soul, Ransomed, One Voice, Release Me, Love Never Fails, and To The King…Vertical Worship. To date, Heidi & Micah have a written a combined 150 plus songs in gospel, CCM, country and pop music. They are expanding their catalogue to write for other artists in multiple genres, as well as television and film scores. Micah’s current single, “Be Lifted” was written by Heidi from his current album, To the King… Vertical Worship, which debuted at No. 2 on Billboard’s Top Gospel Albums chart and marks Micah’s highest debut to date. The single is currently No. 14 on Billboard’s Gospel National Airplay Top 30 Chart. “My songwriting started shortly after Micah and I got married,” says Heidi. “He was so musical and I thought maybe I’ll just join the poetic side of me with the melodies I heard. Heidi, also a gifted vocalist concurs that every songwriter has its own process of creating music. “Most of the time the songs end up on my voice notes and scribbled on whatever I can find at the time,” says Heidi. “I have stacks of old envelopes and hotel note pad paper with lyrics of songs. Sometimes I go back and look at them and remember where I was when a song came. I prefer to let the songs just come and never try to force it. Sometimes I get a piece of something and then I share with Micah and he gets the rest and vice versa. Heidi also penned another one of her favorite songs, as well as one of Micah’s favorites. “I Believe” from A Fresh Wind and the Release Me projects and a remix version of the song is also included on the new CD. This song speaks to Heidi’s personal experience and how she has walked by faith in so many areas of her life. The song continues to encourage her as well as other people from all over the world, who have shared their testimonies with her and Micah. She knows what the song meant to her personally when she had to believe God against all odds. the ESSENCE Festival in New Orleans, LA (July 1st-July 3rd); Warri Nigeria Conference (July 8th –10th), the Spirit of Faith Conference in Washington, DC (July 12th); the Capital City Youth Conference in Baton Rouge, LA (July 19); the New Wine Church Conference in London, England (July 22nd – 24th) and the Visitation Conference in Charlotte, NC (July 29th). Several other promotional dates are currently be scheduled in Chicago, New York City, Los Angeles and key markets.